Belgrade Beer Fest is an annual festival of beer in Belgrade, Serbia. Started in 2003, the festival is held annually over 4 to 5 days as a showcase event for various beer producers. In addition to domestic and foreign brews, the festival features live music performances each evening. 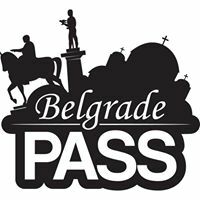 It has quickly grown in size and popularity: in 2004, it attracted over 75,000 foreign visitors to Belgrade and in 2005 it was the second most visited festival in Serbia with 300,000 visitors. In 2009 it attracted more than 650,000 visitors, and in 2010 the festival attracted about 900,000 visitors.